We offer a full range of Tampa Bay area property management services tailored to you as an investor, homeowner, or landlord. 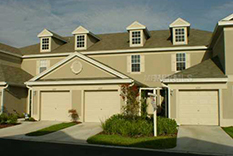 We have an extensive portfolio of single family homes, townhouses, condos, and apartments in the Tampa Bay and surrounding area. "Tampa Bay" is not the name of any municipality. This misconception probably stems from the names of several local professional sports franchises (including the Tampa Bay Buccaneers, Tampa Bay Lightning, Tampa Bay Rays, and Tampa Bay Rowdies) which seek to draw support from the entire Tampa Bay Area, the hub of which is the city of Tampa . 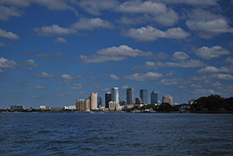 Tampa Bay is actually a large, natural harbor and estuary along the Gulf of Mexico on the west central coast of Florida, comprising Hillsborough Bay, Old Tampa Bay, Middle Tampa Bay, and Lower Tampa Bay. Love sports? Tampa is home to Super Bowl Champions the Tampa Bay Buccaneers, Stanley Cup Champions the Tampa Bay Lightning, MLB's Tampa Bay Rays, horse racing, greyhound racing, and MLB spring training. There are many art studios, music theaters, museums, childrens museums, and much more.